Investing In Dividends For Dummies shares the fundamental information you need to know about one of the steadiest investments you can make: dividends. This approachable resource provides you with the details necessary to make confident, educated decisions regarding the dividends that you choose to add to your portfolio. Instead of guessing which investments will complement your current strategy, leverage the information offered by this easy-to-use text to determine how to best incorporate dividends into your investment tactics—and do so with confidence. The steady nature of dividends makes them appealing to investors for many reasons. Most notably, they're a great option if you're entering retirement and want a reliable source of income. Additionally, dividends are fantastic components of a well-rounded investment portfolio, as even the most aggressive of investors can benefit from more conservative investment tools in their overall strategy. Understanding what dividends are and how to use them is the first step to adding them to your portfolio. 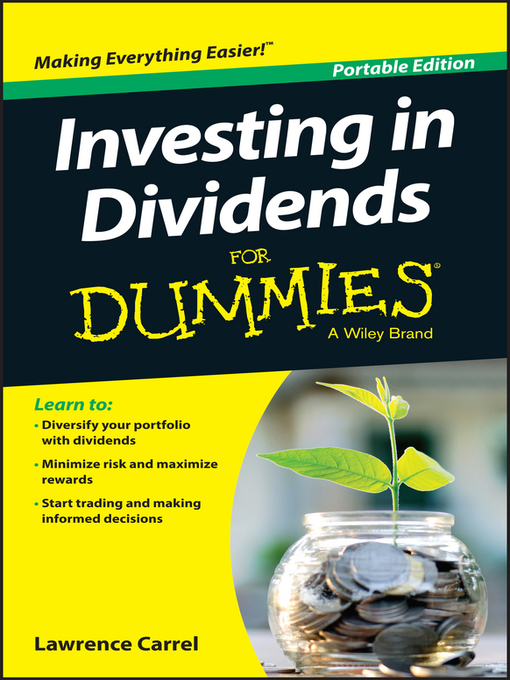 Investing In Dividends For Dummies is a fantastic resource if you're looking to find a mature and predictable way to invest your money!